Well Brothers and Sisters – Week 4 is in the books!! God has truly shown His love and hand. In four short weeks we have increased from 20 meals to 42 meals…and counting. We are matching our meals to the number of Likes that we get on Facebook. It is a lofty goal, but that’s not our problem…God has the charge of miracle-maker. We are His servants and lovers of our brothers and sisters. 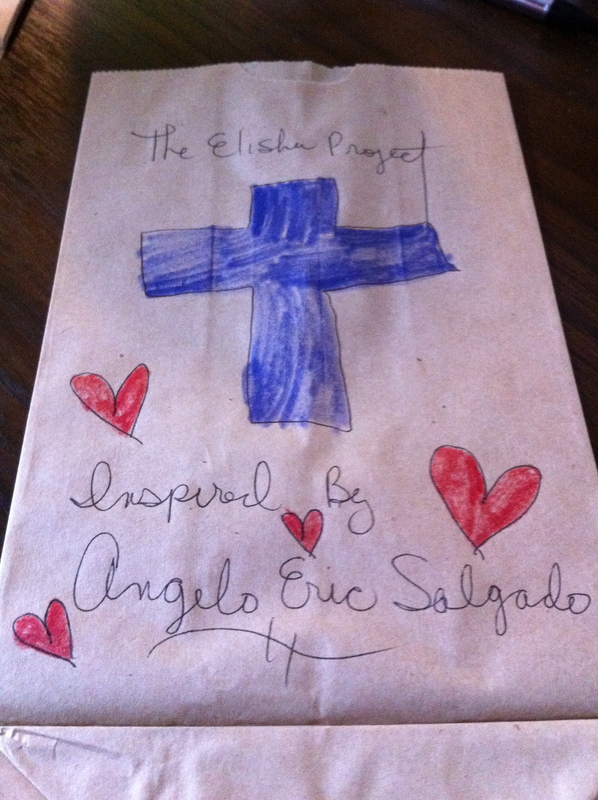 None all the families that have given The Elisha Project support have asked to be recognized. They simply moved on what God spoke in their hearts. On behalf of The Elisha Project and our family we thank you and pray that God rains a quadruple portion of blessings on your families!!! And we thank Him for it is already done!! !